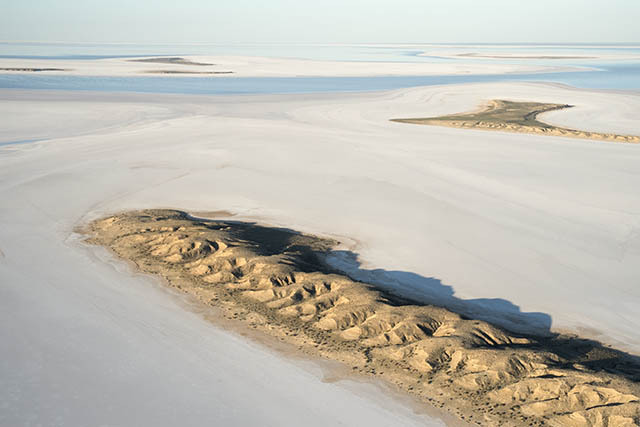 The whiteness of the salt on Lake Frome is startling. Whiter than white as the soap suds ad goes. I’ve been told astronauts used the salt expanse to do their white balance checks for the cameras on their space stations. 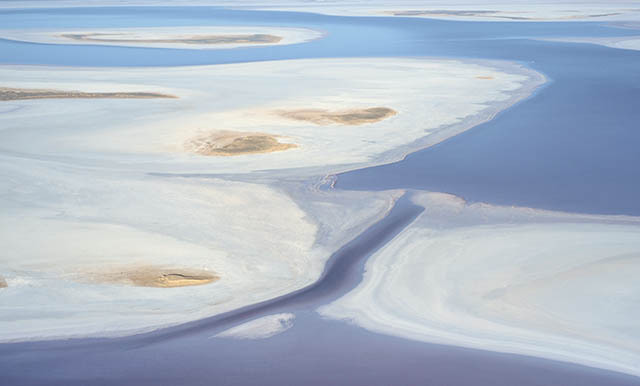 The other remarkable things is the numerous sand dunes that are trapped on the salt surface. The desert surrounding the lake have the usual large dunes that run north to south for hundreds of kilometres. 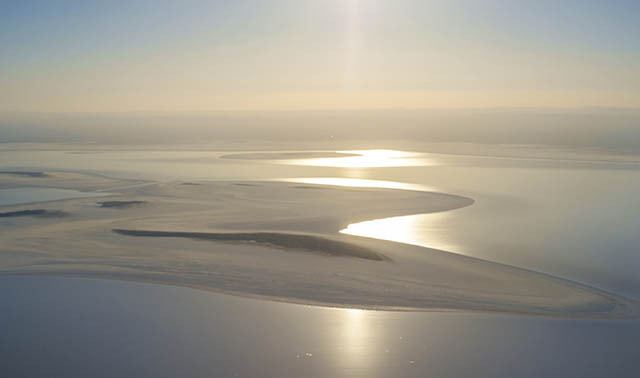 The dunes on the lake are part of that system which was formed in the last ice age more than 10 thousand years ago. They are significant landmarks trapped in the salt.